What an adorable toy! It fits this box’s theme perfectly and makes an adorable noise thanks to a “giggle stick” inside. I love when BarkBox sends toys that make noises other than the traditional squeak: they add variety to Henry’s playtime and I feel like they are usually a little more tolerable to my neighbors! Henry loves this toy by Fab Dog! It both crinkles AND squeaks which means that Henry has a hard time putting this down. It matches the theme perfectly and its unique shape is slightly more challenging for Henry to pick up (which is more fun for him). He loves to grab it by the fortune and SHAKE SHAKE SHAKE it! What a cute (and delicious) idea! Why am I suddenly craving Chinese food? These treats have only five ingredients – oat flour, duck, beet, molasses, and ginger – and have no preservatives or artificial flavors. Another cute way to match the theme! Henry and I love dental chews – he loves the taste and I love their benefits – and these were no exception. They feel softer than most dental chews, but that didn’t bother Henry as he went to work on his first one. First off, I couldn’t wait to give this to Henry because it was grossing me out and I wanted it to disappear. That being said, he really loved the challenge this chew presented. It was hollow, which he wasn’t used to, and was too wide to fit in his mouth. As a result, he had a grand old time experimenting with different chewing tactics. The first half kept him busy for a solid forty minutes before I decided to save the rest for another time. I didn’t expect to be such a fan, but now I’m contemplating buying more! That’s one of the great things about dog subscription boxes: I am forced to try items that I never would have purchased on my own and sometimes find a winner. 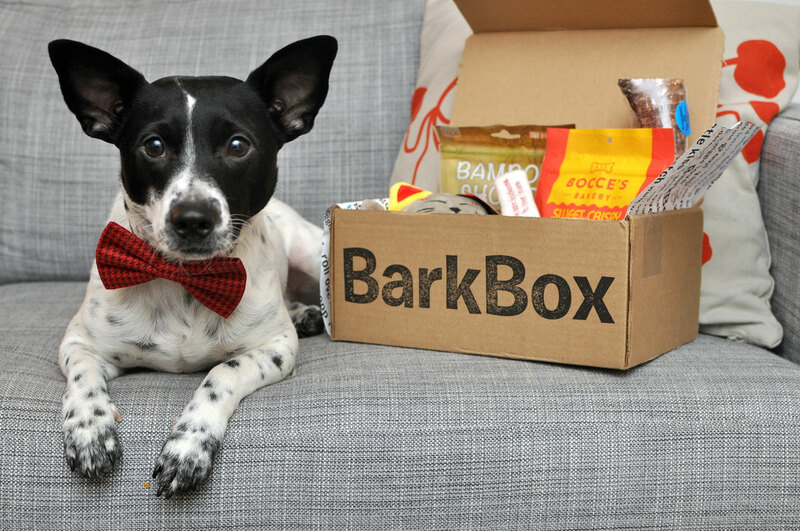 Learn about other dog subscription box services in our Dog Subscription Boxes: How to Save and Have Fun post and see our January 2016 BarkBox Unboxing here! Hi there! What a handsome pup Henry is (and he poses so nicely too)! I just happened to stumble upon your post while searching what others got in their Barkboxes. Ours had a crinkly fan and a plush dragon, both loved by my dogs, but they’re nowhere near as adorable as that lucky cat!! And those beef tracheas are all the rage in my house. I buy them online by the bag. The pups love it and don’t even realize it’s loaded with glucosamine and chondroitin which are supposedly good for alleviating joint pain. Happy dogs, happy dogmom, everybody wins! Aw, thank you! 🙂 He LOVES posing for photos – it probably has something to do with the treats I give him! (and dogmom/dog bonding time doesn’t hurt either) I saw the dragon toy and thought it was adorable, but Henry absolutely loves that cat! It’s his favorite toy at the moment. I thought he would be unsure about it because it’s a little big for his mouth, but he loves that he can carry it around and the giggle stick inside makes noise without him having to squeeze it. I’m definitely going to have to get some more tracheas! Is there a certain brand that you recommend? I buy mine off of BestBullySticks.com. 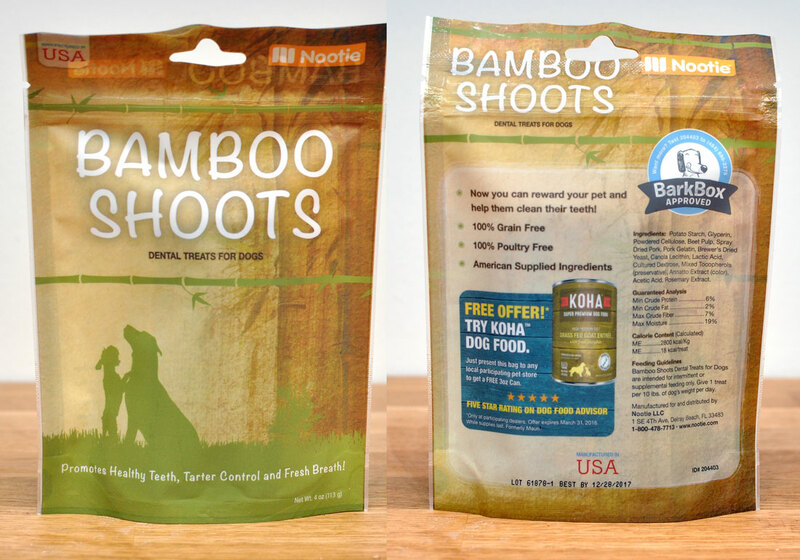 I like them because their chews are all-natural so everything will get digested by your pup. It’s usually about $5-7 a bag and you get about 10 pieces, each about 3″ long. They’re the perfect good-boy snack! Thanks! I love Best Bully Sticks. I’ll have to check it out!